You’ve been a pal. No, seriously, you’re the best yaar a Pakistani-American girl could conjure. That’s why I dedicate Kishore Kumar’s soundtrack, “Chalte, Chalte” to you. The lyrics, “Kabhi alvida na kahna” translate to, “Never say goodbye.” SM, you challenged me. You educated me. You delighted me. You enraged me. And so, I thank you. All of you. Hello Mutineers. Long time no chat. Posted in In Memoriam, Meetups! A belated Christmas present for all y’all for this #MusicMonday – our oft written about friends The Kominas have released an (almost) self-titled album called “Kominas.” If you thought the previous albums were too punk/too political/too “taqwacore” for you – then it is time to give the band a second chance – this album might just be for you. With a more Desi-rock sound, gritty riffs, lo-fi vocals and lyrics taking a back seat, the band’s path has turned and taken on a new sound. Gone are the sing-along playfully raunchy hooks, this album is all about the bass line and dirty drum beats. 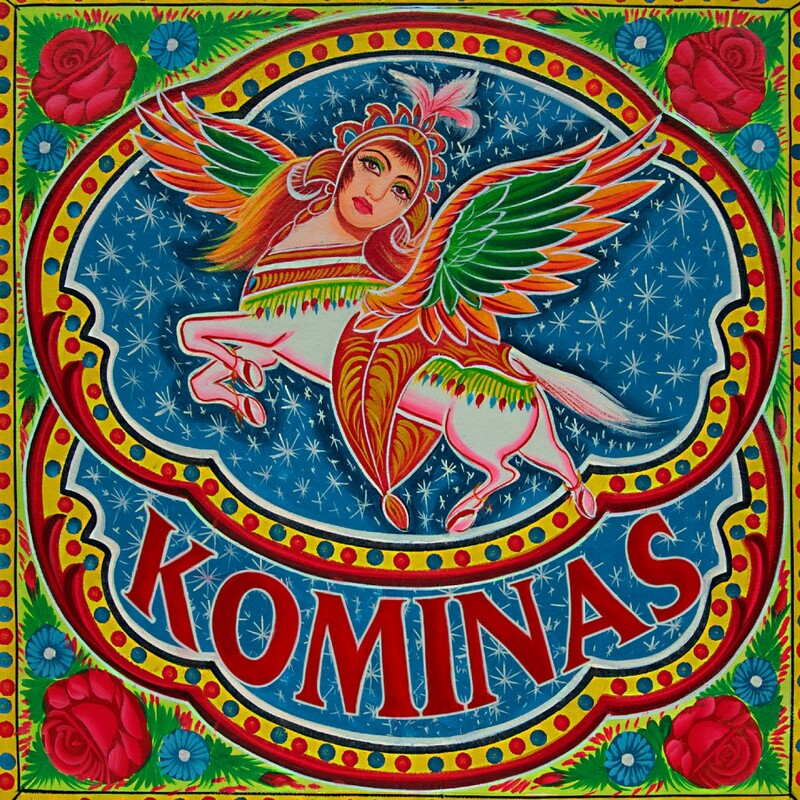 The band members of The Kominas have shifted to not only to now include the duo from Sunny Ali and the Kid, but also in instrumental roles – three of the four bandmates take a turn on the mic for this album. With multiple talents acting as the driving force between music and lyrics, the album is eclectic and completely different sounding from anything previously released by The Kominas. People have been saying that their sound has “matured” but instead, I feel the new album better reflects the skills and sounds of the new band members trying collaborate and create a new cohesive sound (Basim Usmani is the only original band member that remains from 2005). Don’t just take my word for it. Follow the link here to the megaupload site to download the album. And if you are too chicken to download the album before listening to a song – here’s the demo to Ren, a song off of the new album. Frankly put, it sounds like our punks have evolved – they just may be growing up. Yesterday the President presented 13 Americans with the 2011 Presidential Citizens Medal, the nation’s second-highest civilian honor which may be granted to any United States citizen who has performed “exemplary deeds or services for his or her country or fellow citizens.” Vijaya Emani of Strongsville, Ohio, a single mom involved in so many different ways in her community, was one of the honorees. Emani, who passed away in 2009, was recognized for speaking out against domestic violence. 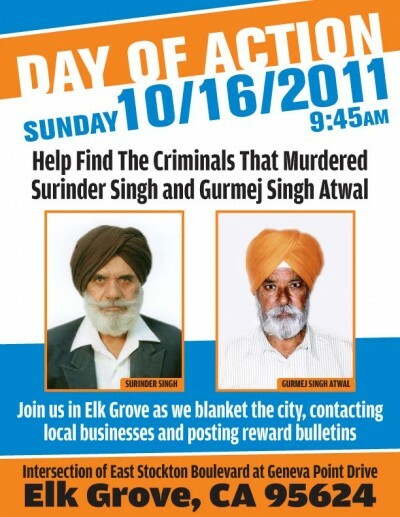 The murderer(s) of the suspected hate crime against Surinder Singh and Gurmej Singh Atwal are still at large. Both elderly men were walking on their daily afternoon walk in Sacramento, when they were shot in a drive by shooting on March 4th, 2011. Seven months later and they are still looking for clues. If in the Sacramento area, please join the Jakara Movement and the local community as they blanket the neighborhood talking to the community and posting reward bulletins. For more information and to RSVP, please visit the facebook page. In the early morning hours of September 10th, the Desi community of D.C. was rocked when a local aeronautical engineer and theatermaker Gaurav Gopalan was found near death only two blocks away from his home. He died soon after. He was only 35. There had been confusion over if had been a hate crime (he was wearing women clothing at the time as an alter persona named “Gigi”) but there had been no visible signs of trauma. Today it was confirmed to be a homicide. On this day I woke up to images of the twin towers falling on TV, eerily similar to what happened ten years ago at the same time. Deliberately, I’ve avoided the videos over the years, quickly changing the channel, images of people jumping from the building permanently embedded in my memory already. But today, I watched. I needed to be reminded, I guess. Where will we be in 300 years of remembering? This is Chee Malabar & Tanuj Chopra’s interpretation. The video was created as a DVD insert to the Asian American Literature Review Tenth Anniversary of September 11th issue. You can order your copy of the AALR special issue online here now.